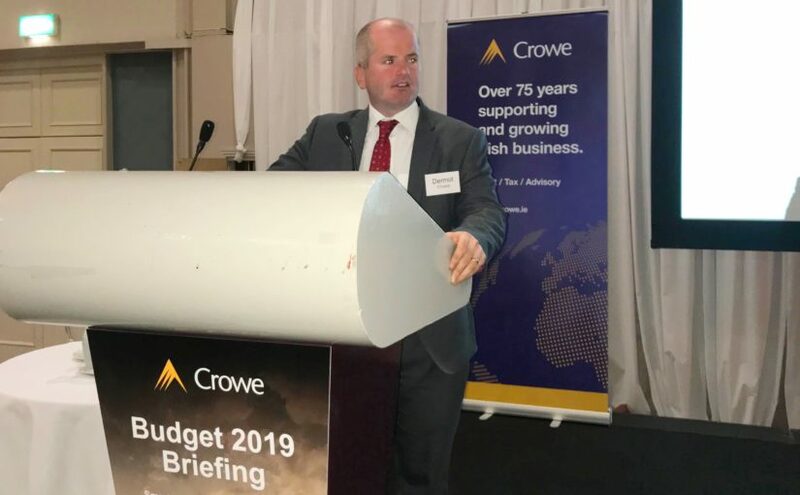 Budget 2019 represents the latest in a series of prudent fiscal budgets which will continue to narrow the deficit to what Dermot expects to be a balanced budget next year. However, the Irish economy faces some “clear and present dangers” – specifically with an over-reliance on the US economy and the danger of a hard Brexit. 2018 marks the tenth consecutive year of budget deficit reduction. This reduction in the deficit was initially driven by a period of fiscal consolidation between 2010 – 2015 which saw public spending cut and taxes increased. But more recently the deficit reduction has largely been driven by a growth in tax revenue – driven by economic growth and a doubling in corporate tax revenues since 2014. Ireland’s growth in corporate tax revenues have been heavily dependent on large multinationals and US multinationals especially, making us very reliant on the US economy. In fact, Dermot has called the Irish economy the “51st State” from an investment point of view. Also, with 8% of our private sector workforce employed by a US company, and these companies offering salaries 50% higher than similar jobs in other companies, our labour market is very reliant on US multinationals. Dermot asserts that we are vulnerable to a potential slowdown in the US, which he believes is potentially due in 2020, due to higher interest rates, less fiscal stimulus and the impact of trade wars. In fact, the current expansion in the US economy represents one of the longest periods of economic growth in their history and if the US economy continues to grow next year it will surpass the growth cycle of the 1990s and become the longest in history. The coming months are extremely important for the UK’s Brexit negotiations. Post-Salzburg the relations between the UK and EU remain tense and there is an increasing possibility that we could see a UK general election, potentially followed by a referendum. If there was a referendum it could take six months or so which would take it beyond the 29 March 2019 deadline for article 50. This could all result in a hard Brexit which would have serious consequences for Ireland. Due to our debt level, the government has limited scope to prop up the economy through increased fiscal spending or tax cuts next year if there was a hard Brexit. Dermot believes that the government should introduce a more ambitious programme of debt reduction or budget surplus increases over the next few years. We continue to have massive legacy with regard to debt levels from the crisis. Debt to GNI is just over 100% which is still one of the highest in Europe. Dermot feels that the budget could have been more proactive in tackling that debt and in putting aside resources in a “rainy day” fund to potentially use to protect us against the dangers of a hard Brexit and the vulnerability we have with our over-reliance on the US economy.